Google-owned mapping platform Waze has been updated to include support for Apple’s CarPlay infotainment platform. Users will now see Waze on the CarPlay home screen if they’ve downloaded the app on their compatible iPhones. Users have a bit more control over their settings in Waze compared to Google Maps in CarPlay. CarPlay lets drivers cycle between Waze’s night and day modes at will, and drivers can change the look of their vehicle’s icon on the map. The CarPlay version of the app maintains some of Waze’s visual design, but the app is still required to conform to Apple’s design rules, so it does look a bit like all of the other mapping apps currently supported by CarPlay. 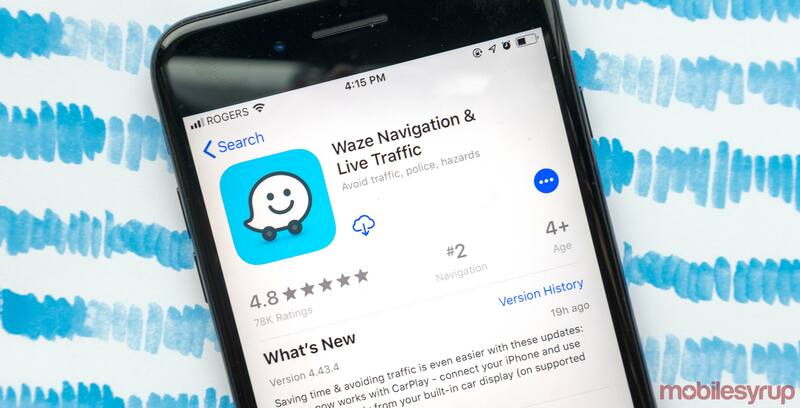 It’s worth noting that traditional Waze features, like submitting driving condition reports about traffic, police roadblocks and weather hazards, are all available on the CarPlay app. Users can also access their phone’s ‘Settings’ app to rearrange the CarPlay display to add Waze or Google Maps to the primary screen. Opening ‘General’ then ‘CarPlay’ shows users the in-car feature’s settings. Once in the settings menu, users simply need to choose their car from the list of connected vehicles, and drag the apps around the mock in-car display. When Apple announced iOS 12, one of the most interesting new features was the addition of third-party mapping apps to CarPlay. Around mid-September 2018, Waze was privately testing out its CarPlay features, and now it looks like the function has passed testing and its available for everyone.